Regency Planters are built with strong mortise and tennon joints, corner posts are 95 x 95 finish timbers. Sides are strong 22mm thick x 95mm timbers. This planter is lined with a water proof membrane. All are planters are made from top quality pressure treated pine. Optional water tanks that can hold up to 6 weeks water are available. To prevent damage in transit Ball tops are supplied loose and are easily fixed with the double ended screws supplied. 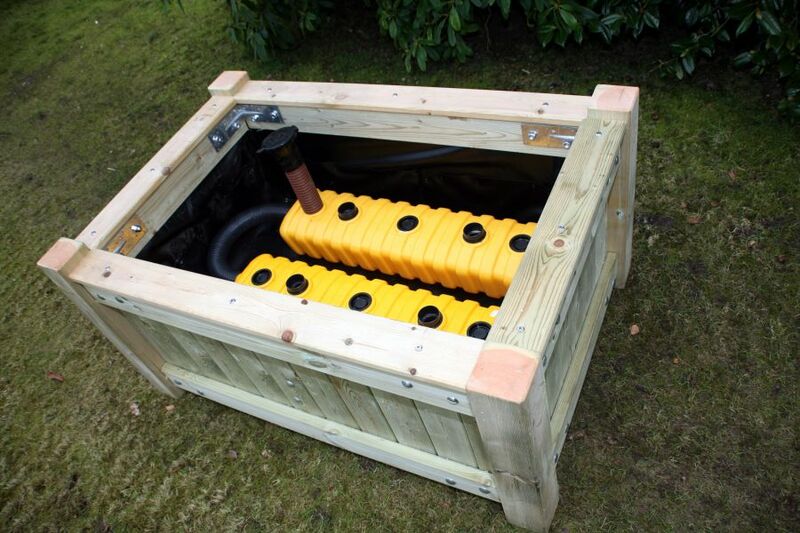 We can also fit this planter with 10 off 150 x 150 x 65 heavy duty steel corner strengtheners where a reinforced planter is required for commercial or industrial use or where there is a risk of the planter being hit by vehicles. Fitted with an overflow pipe so plants do not become waterlogged.